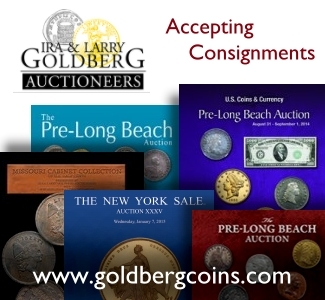 A Weekly CoinWeek Column by Greg Reynolds …..
Just prior to the winter Coin, Stamp & Collectible Expo in Long Beach, California, the Goldbergs will conduct an auction of a wide variety of coins, medals and paper money. Most sessions will be held at their office in Los Angeles. 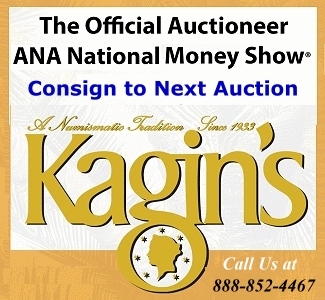 On Monday, February 13, the most newsworthy piece will be offered: a 1943 Lincoln cent struck on a blank made of a 95% copper (‘bronze’) alloy. Almost all 1943 Lincoln cents were struck on zinc-coated steel blanks (planchets) and are gray or ‘whitish’ in color. This 1943 Lincoln on a 95% copper planchet is clearly different from most 1943 cents. It is graded EF-45 by PCGS and has been approved by CAC. 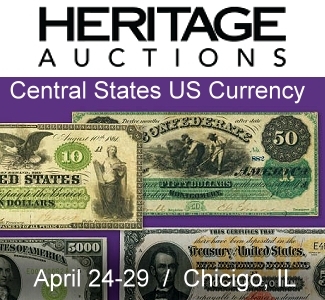 Lincoln cents were minted from 1909 to the present and are perhaps the most popular coins. The vast majority of coin collectors in the U.S. have collected Lincoln cents at one time or another. Countless visitors to the U.S. from around the world have been intrigued by them as well. Lincoln cents are inexpensive to collect and Abraham Lincoln was a particularly important president in the history of the United States. Lincoln cents with the Wheat reverse design were minted from 1909 to 1958. Even some wealthy coin collectors habitually pull Wheat cents “out of change”. Furthermore, Wheat cents are often discussed at local coin clubs. They’re sort of a common denominator among coin collectors in the U.S. The most valuable Wheat cents, however, are not the leading key dates (the 1909-S VDB and the 1914-D). No, the most valuable Wheat cents in any given grade and the most valuable overall are the off-metal strikings of 1943 and 1944. Because copper was needed for purposes relating to World War II, all 1943 cents were planned to be struck on zinc-coated steel planchets (prepared blanks). 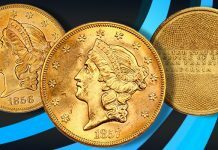 For clarity’s sake, all coins, medals and mint errors that are at least 90% copper are here referred to as being copper, as the concepts of bronze and brass are subject to varying definitions and interpretations. Before 1982, most Lincoln cents of most years were specified to be struck in ‘French bronze’, an alloy that is 95% copper with the balance being tin and/or zinc. In 1944, copper was again used for cents, though 1944 and 1945 cents were not French Bronze. Lincoln cents dated 1944 and 1945 were struck from an alloy stemming from spent shell casings, military leftovers. In 1946, the use of the traditional French Bronze alloy for Lincoln cents was resumed. While 1943 copper cents and 1944 steel cents are often thought of as U.S. mint errors, they are often demanded by collectors who do not specialize in errors or who are not even interested in mint errors. Indeed, most of the collectors who have owned 1943 copper or 1944 steel cents are not focused upon mint errors. By ‘most valuable’, it is meant that such off-metal Lincoln cents are generally more valuable in a given grade than ‘regular’ Lincoln cents of any date in the same respective grade. An ‘AU-55’ grade 1943 copper or 1944 steel is worth much more than any regular ‘AU-55’ grade Lincoln Wheat cent, of any date; the 1943 Copper that will be offered this month might very well sell for more than $150,000. Certainly, there are no key date Lincoln cents in AU-55 grade that are worth as much as $100,000. A PCGS-graded AU-55 1909-S VDB Lincoln is worth an amount between $800 and $1,350, depending upon the specific coin and the circumstances under which it is sold. A set of 1943 coppers and 1944 steel cents requires six pieces: a 1943 Philadelphia Mint copper, a 1943 Denver Mint copper, a 1943 San Francisco Mint copper, a 1944 Philly steel, a 1944 Denver steel and a 1944-S steel. The 1943-D copper is unique and was acquired by Bob Simpson in 2010, as I then reported on CoinLink.com. The reported price of $1.7 million was imputed, as it was part of a larger deal involving multiple pieces. The previous owner of the unique 1943-D copper was a collector in the Midwest, widely known as a leading collector of gem-quality nickels and silver coins from the first half of the 20th century. The Simpson 1943-D has been graded as MS-64 by both PCGS and NGC. This unique 1943-D copper is believed to be the highest quality of any 1943, 1943-D or 1943-S Lincoln in copper that survives. Simpson owns or owned a complete set. Simpson’s set was on display at the FUN Convention in Tampa during January 2011. 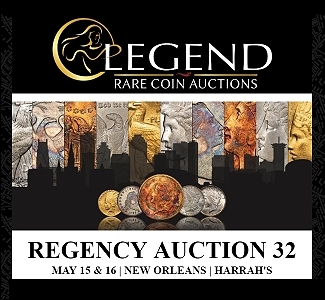 His 1944-S steel cent failed to sell at auction in January 2016. If it had sold, he would no longer have had a complete set, unless he has the only other 1944-S steel cent. There are just two known 1944 San Francisco Mint steel cents. Simpson has the 1943-S copper that was NGC-graded as MS-61 and is now PCGS-graded as MS-62. 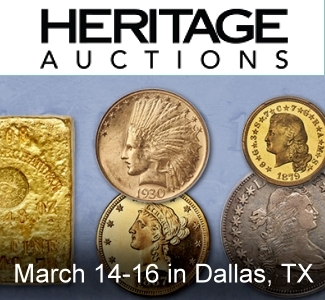 Simpson’s duplicate 1943-S copper was auctioned by Heritage one year ago at the Long Beach Expo. 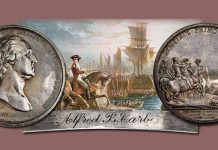 It was PCGS-graded as AU-58 and CAC-approved. That 1943-S then brought $282,000. In past articles, I cited Tom DeLorey and Rich Uhrich regarding the number of these off-metal strikings that survive, along with my own estimates. Much research has since been done by cataloguers at Heritage. The estimate in August 2008 of 10 or 11 1943 Philadelphia Mint copper cents was revised to 12 or 13 in November 2015. In response to my inquiry in 2017, Fred Weinberg informs, “I did buy a nice, mostly red 1943 copper cent at the 1978 ANA Convention in Houston.” Weinberg provided additional information about this and other 1943 coppers, though I believe that all were indirectly included in past lists. The Heritage catalogue for the January 2016 FUN auction includes a roster that almost provides an impression that 17 might exist. A careful reading, however, suggests that only eight or nine different 1943 Philadelphia Mint coppers are documented therein. 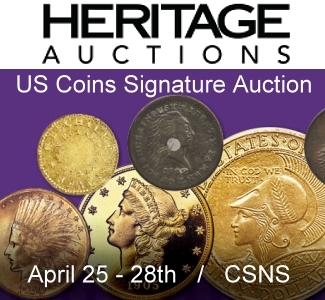 The Heritage cataloguers convincingly indicate or theorize that multiple PCGS and/or NGC certifications refer to some of the same individual 1943 coppers. A few 1943 coppers have each been PCGS- or NGC-certified more than twice. After considering Fred Weinberg’s input, though, I slightly revise my estimate from 12 or 13 to 13 or 14 Philadelphia Mint 1943 coppers. As I indicated in 2008 in my report on the sale of the Kenneth Wing 1943-S, there was then a consensus among researchers that seven 1943-S coppers survive. The detailed roster in the January 2016 FUN catalogue is extremely consistent with this long accepted estimate. So, for 1943 Philadelphia, Denver and San Francisco copper cents, a total of 21 or 22 are known. Others may exist. In contrast to the number of people who collect Lincoln cents, 22 or even 32 is not a large number. Saul is an expert in U.S. Mint errors, patterns and pedigree research. He responded to my inquiry. 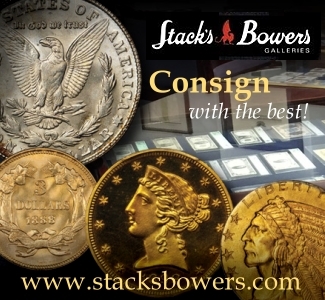 In January 2013, Stack’s-Bowers auctioned a PCGS-graded AU-55 1943 copper for $317,250. 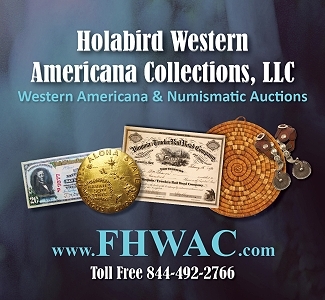 In January 2016, Heritage auctioned a PCGS-graded AU-58 1943 copper, with a CAC sticker, for $306,500. It may be illuminating to consider some mint errors from the same time period. 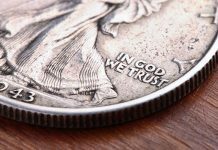 In October 2016, Heritage auctioned a 1943 Lincoln cent that was struck on a silver dime planchet. It was PCGS-graded as AU-50. If it had been struck on a copper cent planchet, it would have been worth more than $125,000. On a silver dime planchet, it realized $5,287.50. In November 2013, Heritage auctioned a 1943 Jefferson nickel error that was struck on a steel cent planchet. 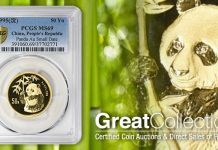 It was NGC-graded as MS-64, and brought $9,400. In January 2010, there was auctioned a 1962 Franklin half dollar on a one cent planchet, thus a half dollar striking in copper. 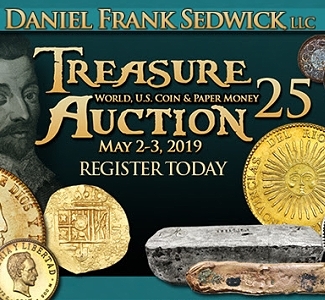 “There are probably 24 to 36 Franklin halves on cent planchets or struckover [already existing] Lincoln cents,” Saul Teichman reports. Teichman is referring to all dates in the series of Franklin halves, not just 1962. There may be no more than five of any one date, and some such errors lack dates. This 1962 Franklin in copper, NGC-certified as ‘MS-61 Red & Brown’, realized $5,462.50. Other than 1943 copper cents, the one 1943 U.S. Mint error that I remember as having sold for more than $25,000 is a 1943 Lincoln Cent that was overstruck on a foreign coin, a 1943 One Centavo coin of Cuba. It was PCGS-graded as MS-62. In my view, this is one of the coolest of all U.S. Mint errors. When I viewed this Lincoln cent on Cuban Centavo, I had trouble putting it down. In November 2013, this piece went for $38,187.50. a fraction of the price of a commensurable 1943 copper Lincoln cent that was struck on a blank planchet. The vast majority of wealthy adult collectors sought Lincoln cents at some point. Many adult collectors became interested when they were kids. From the time I was seven to the time I was 12 years old, many of my friends collected Lincoln cents. We had albums or inexpensive blue folders. We traded penny rolls at local banks. We bought ‘better date’ Wheat cents at local coin shows. Indisputably, during the 20th century there were tens of millions of people who collected Lincoln cents at one time or another. It is relevant that many people had jars of 1943 steel cents, which they pulled out of change or received from friends. People were intrigued by the reality that 1943 cents are of a color that is dramatically different from that of Lincoln cents from other years. My grandmother and some of my neighbors often talked about 1943 “white cents”! Therefore, people at large, not just knowledgeable coin collectors, were familiar with 1943 steel cents. They knew that copper was needed for war-related purposes and that steel was substituted for copper in the production of 1943 pennies. World War II united U.S. citizens in a quest to defeat their common enemies. Indisputably, the Nazi regime of Germany and the militaristic regime of Japan were guilty of many of the worst human rights violations of the last 1,000 years. People set aside political and cultural differences to join in war-related efforts. Moreover, it was an immensely popular war. Literally millions of people enthusiastically went off to fight or volunteered to contribute in other ways. Books, movies and documentaries relating to World War II have been popular ever since the bombing of Pearl Harbor, and new movies or TV shows with World War II themes are produced fairly often. So-called ‘War Nickels’, 1942 to 1945, consist of an unusual wartime alloy. These, though, do not appear all that much different from regular nickels and are ultra common. 1943 coppers and 1944 steel cents are extremely rare, apparent coins and are visual relics of World War II. 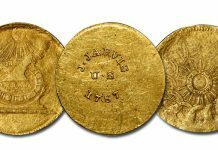 There are no other U.S. numismatic items that fulfill all three criteria. The publicity surrounding finds of 1943 copper and 1944 steel cents has contributed to their fame. Such finds have received endless publicity over the decades in the general media. 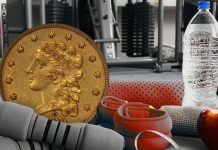 As it was theoretically possible for members of the general public to find them, and a few people really did, 1943 coppers and 1944 steel cents were often mentioned in news reports, articles and books that were geared towards the general public. Beginning collectors and even non-collectors can easily understand the essence and rarity of these. 1943 coppers and 1944 steel cents are not mysterious. It is easy to figure that a few were made with blanks originally intended for 1942 cents. It is also easy to figure that some 1943 steel cent blanks were leftover and were used in 1944. As David Lange has explained, planchets could have been stuck in bins used to supply coining presses, and became loose over time. It is also plausible that leftover planchets were deliberately used. Unlike many rarities, 1943 coppers and 1944 steel cents were in circulation during the middle of the 20th century. These are not like Indian cents struck in gold, or half dollars struck on cent planchets. Most surviving 1943 coppers and 1944 steel cents were actually spent. These were found in change on occasion from the 1940s to the ’60s. A point that is sometimes overlooked or not emphasized by auction cataloguers and researchers is that 1943 coppers and 1944 steels were struck on planchets of the ‘correct’ denomination. Off-metal errors typically involve “wrong denomination” planchets. A cent struck on a dime planchet, or a quarter struck on a cent planchet, is an oddity. A pre-1965 quarter or dime struck on a nickel planchet is an oddity as well, clearly a mis-match. 1943 coppers, however, were struck on presumably valid one-cent planchets, probably from 1942. Rightly or wrongly, collectors who are willing and able to pay large sums for 1943 coppers and 1944 steel cents are likely to be thinking of them as coins, not errors. PCGS CoinFacts, the CAC population report and the NGC Coin Explorer all list 1943 coppers and 1944 steel cents as ‘coins’; they are not in sections devoted to errors. Someone consulting just these sources may very well conclude that these are regular coins, not mistakes, flukes or fantasies. It is unlikely that 1943 Philadelphia Mint copper cents were made for collectors or politically influential people. No gem-quality pieces survive and most survivors have circulated. A few have annoying gashes. I am not suggesting that collectors should or should not regard 1943 copper cents as major rarities or as true coins. My opinions are beside the point that collectors must be thinking of these as coins, not as errors. A 1943 Lincoln cent struck on a silver dime planchet is a mistake, not a coin. Are copper 1943 cents mistakes, flukes or regular coins?